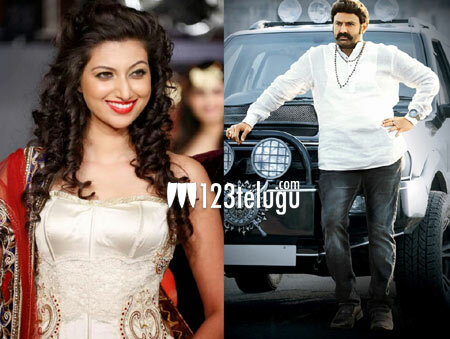 Hamsanandini to groove with Balakrishna? Hamsanandini, who has made special appearances in films like Atharintiki Dharedhi, Mirchi and Eega, has grabbed yet another big offer, as per the latest buzz in the industry. She is going to groove with Balakrishna in a special song for ‘Legend’ and the song will also reportedly feature Sonal Chauhan. Directed by Boyapati Sreenu, the film stars Balakrishna, Radhika Apte and Sonal Chauhan in lead roles. Except for a song, the film’s shooting has been completed. This final song, which will be shot on Balakrishna, Sonal Chauhan and Hamsanandini, will begin from March 5 onwards in Annapurna Studios and a special set is being constructed for this. Prem Rakshit is going to choreograph the song. Interestingly, the makers were initially planning to rope in Bollywood actress Bipasha Basu; however, it didn’t materialize. The film’s audio is going to be launched in a grand way on March 7. Devi Sri Prasad has scored the music and Jagapathi Babu is playing the main villain’s role. Gopichand, Anil Sunkara, Ram Achanta and Sai Korrapati are jointly producing this film under 14 Reels Entertainment Pvt Ltd and Vaarahi Chalana Chitram banner. Legend is expected to hit the screens on March 28.